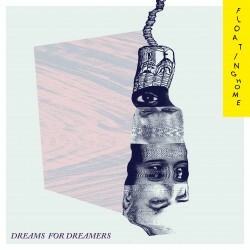 … happy first birthday, “Dreams for Dreamers”! … our fourth is not our own! When i moved house from Bruxelles to Berlin, i invited some friends over for the house-warming, which the neighbours hated, causing a war of silence depuis! Jens brought a camera, we sang this Sam Cooke song together… I wish i could say that it softened the neighbours up! Video 02: Dreaming Her Skin, Rehearsal in Louvain-la-Neuve. In Belgium, we have friends up and down the country that lend us wonderful spaces to make noise in… There was the Sans Souci Social Cloub, where we recorded the “live and sans souci” album; the Girls in Hawaii space, where we recorded alot of the “Dreams for Dreamers” album; the music shop De Musica, where we did numerous sessions; here is a song from a wine-cellar in Louvain-la-Neuve called Grape N Roll.